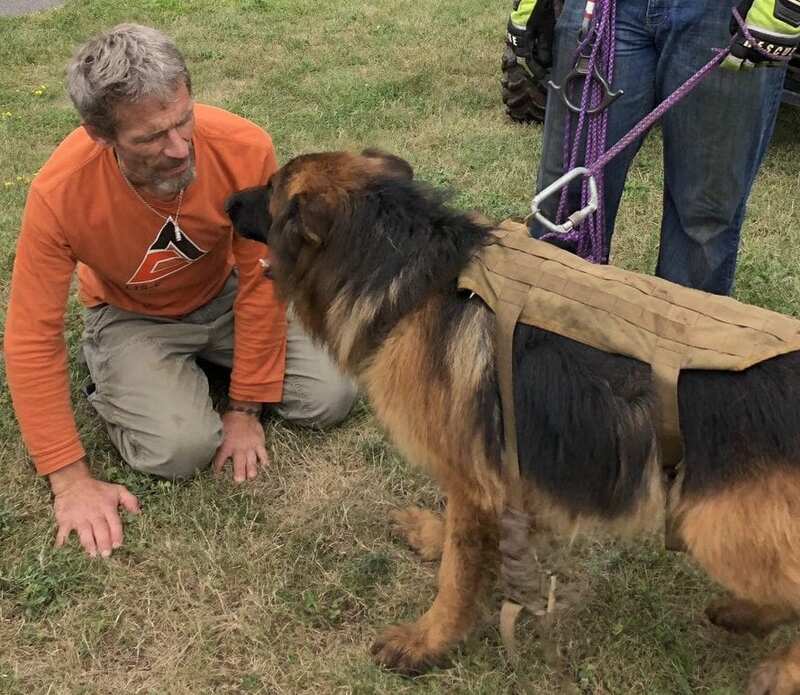 NEW SCOTLAND – After being stuck on a Thacher Park ledge for nearly a week, Khaos was reunited with his owner on Monday, July 23. The German shepherd from East Berne took off from his owner, Laurence Wolfe, as a thunder storm rolled in on Tuesday, July 17, while the two were walking along the Overlook. A woman heard Khaos barking on Sunday, July 22, and the Sheriff’s Department brought a rescue crew up and picked him off the ledge. Wolfe could not offer enough praise to everyone involved in the search and the rescue of his dog. “I would like to thank everyone for their love and support in this most trying of times. You are truly an amazing set of friends! I won’t be able to list everyone so please know that the list is truly endless,” according to a post on a Facebook page under the dog’s formal name, Khaos Ixos Von Bad-Boll.